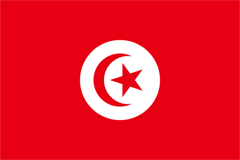 Tunisia has ratified the Rotterdam Convention, depositing its instrument of ratification with the Secretary-General of the United Nations on 9 February 2016. The Convention will enter into force for Tunisia on 9 May 2016 in accordance with article 26 (2). Tunisia’s action increases the total number of Parties to the Rotterdam Convention to 155.